Your legacy – to friends and relatives – is of someone who always chooses the best gift. Take our Legacy Collection, for example. 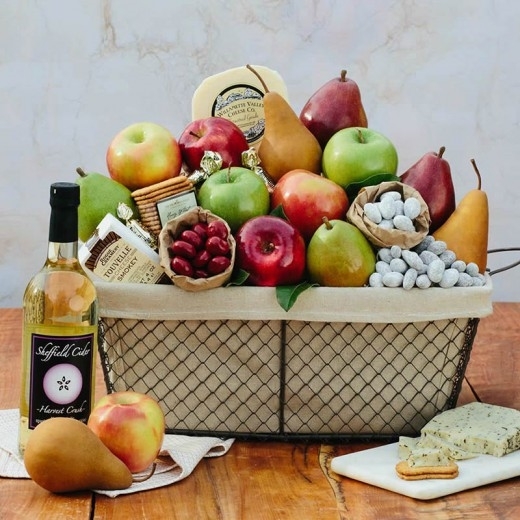 Who wouldn’t be enchanted by this irresistible assortment of any cheese-lover’s favorite cheeses – smokey touvelle, herb havarti, and farmstead gouda. 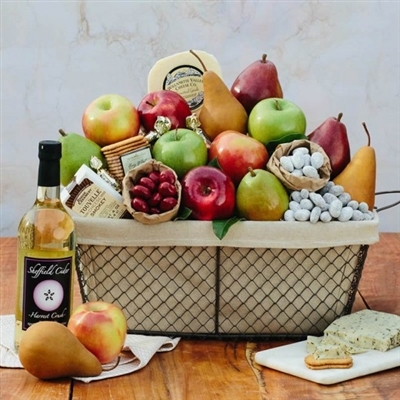 Add in some harvest-fresh pears and apples with other delicious goodies and you’ve just been elevated to “star status” in the gift department! 1 Milk Choc Covered Toffee Almonds - 4 oz. 1 Smokey TouVelle Triangle - 4 oz.